TP-LINK's Wi-Fi entertainment adapter can make four devices wireless | What Hi-Fi? 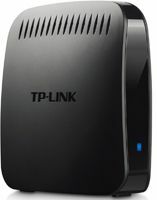 New from TP-LINK is the TL-WA890EA, a – deep breath – N600 Universal Dual Band 4 Port Wi-Fi Entertainment Adapter. Selling for around £50, it allows up to four devices – such as network music players and systems, TVs and receivers – with Ethernet-only connections to be linked up to a home wireless network, and offers dual-band operation and easy connection. The TL-WA890EA is designed to work with any wireless router, and any product with an Ethernet port, and offers CD-less installation using a domain-named-based log-in. Pushbutton WPS connection is supported, and the unit supports WEP, WPA/WPA2, and WPA-PSK/WPA2-PSK encryption. It's compatible with IEE802.11b/g/n, and offers speeds of up to 300Mbps. With an internal antenna and power from an external mans adapter, the TL-WA890EA measures just 11.4x10.3x7.7cm. TP-Link's UK manager, Eric Wang, says consumers are 'searching for products that are designed to create innovative connected environments where they can share not only files across multiple devices, including tablets and smartphones, but can also enable other wireless applications, such as streaming videos and gaming. The TL-WA890EA is on sale now.